Alicia Hall, MD (Nashville) - Book Appointment Online! Hemorrhoidal disease is a common problem, affecting millions of Americans every year. Thousands undergo painful surgery, while millions more suffer in silence believing the symptoms are more tolerable than the current methods of treatment. Meanwhile, sufferers spend millions of dollars on self-medication using suppositories and ointments. 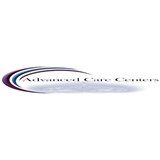 NOW, with Infrared Coagulation (IRC) offered by Advanced Hemorrhoid Care Center (AHCC), there is a modern painless, nonsurgical, effective treatment for hemorrhoids. With IRC your hemorrhoids are treated during a regular office visit in about 15 to 20 minutes. The treatment of your hemorrhoids requires no anesthesia, no special preparation (i.e. fasting or excessive fluid intake), no medications or salves, produces no post-procedure discomfort or side effects and does not affect your work or lifestyle. Very professional. Saw me right away. Very thorough. Great visit.